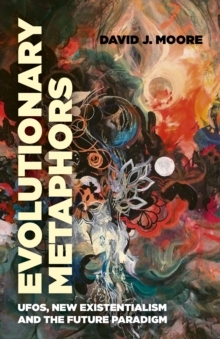 Evolutionary Metaphors is an exploration of the many occult, esoteric, imaginative as well as creative speculations that have resonated around the UFO phenomenon. Understanding the phenomena as an archetypal challenge to our cultural limitations, the author, David J.
Moore, incorporates Colin Wilson's optimistic `new existentialism' with the recent studies in ufology. The book presents a spiritual and philosophical foundation for the creative integration of our consciousness towards anomalous experience. It is a call for what Carl Jung called `active imagination' and Coleridge's poetic-imaginative access to the deeper streams of consciousness - that which exists below the iceberg. By presenting a fresh approach in the inter-disciplinary spirit, Moore offers a vision into human existence - as well as the symbolical realities - that aims to integrate our evolutionary minds with a new understanding of reality.